Cristina teaches mathematics and BEAM at Henry M. Gunn High School. 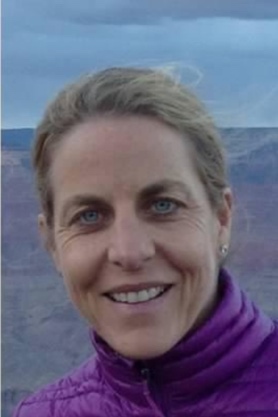 Prior to Gunn, she taught at Saratoga High School. Cristina holds a double degree in Mathematics and Marketing, teaching credentials in Mathematics and Business, and Masters Degree in Education Technology from Santa Clara University. She also received a certificate from The Wharton School of Business for teaching business to high school students and advised Knowledge@Wharton High School on curriculum content. Cristina also serves on the Board of Directors of Neighbors Abroad of Palo Alto. In her free time, Cristina enjoys ballroom dancing, traveling, cooking, and spending time with her family and friends. Tom is the Chief Financial Officer of TIBCO Inc. He is responsible for TIBCO’s worldwide financial operations and reporting, as well as investor relations, sales operations, and maintenance renewals, and the implementation of Vista's transformation initiatives. Prior to joining TIBCO, Tom held CEO and CFO roles at software companies including Saba, Corel, and Actian. In addition, he has spent 10 years on Wall Street with Citigroup, Goldman Sachs, and Piper Jaffray, and six years at Deloitte. Tom earned a BA degree in Accounting and a MBA in Management & Marketing from the University of St. Thomas. Masha brings a wealth of non-profit knowledge and passion to her role with BEAM and has over 10 years of experience working at the intersection of public and private sectors. 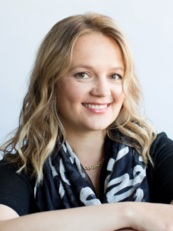 Masha has served as the Engagement Manager at the Silicon Valley Talent Partnership where she managed SVTP’s Education Portfolio and worked to advance and scale innovative project-based STEM programs across schools and districts in the Bay area. Masha has also co-founded a nonprofit to benefit to orphaned children in Uganda and worked on various international relations projects. Masha holds a M.A. in International Relations from San Francisco State University. Russ serves as Head Of Supply Chain & Technical Operations at Oculus at Facebook. Previously, Russ has served as Director of Supplier Operations at Google, Director of Worldwide Operations of Mechanical Enclosures at Apple Inc, and several manufacturing operations roles at General Motors and Ford Motor Co, with over 17 years of automotive experience. Russ holds a BSE (Industrial and Systems Engineering) from the University of Michigan Dearborn, an MSE (Industrial & Operations Engineering) from University of Michigan Ann Arbor, and a MS in (System Design & Management) from the MIT Sloan School of Management. Troels serves as US Industry Manager at Facebook and heads up client facing teams in the Education group. Prior to Facebook, he served as VP of Sales for LiveRail and Managing Director at Sizmek. Troels holds a Master Degree in Computer Science from the Technical University of Denmark. Julia Tanase has over 15 years of legal experience in a variety of private law firms and corporations. Julia has a strong interest in education and helping the community and has followed BEAM from its inception. She believes that the key to the future of success is through building interconnected communities for our students to provide future career growth opportunities. Julia holds a B.S. and M.S. in Electrical and Computer Engineering from Carnegie Mellon University, and a J.D. from Fordham University. Donald serves as the Director and Co-Founder of DFarm, an educational non-profit that uses design thinking and project based learning to develop critical thinking, innovation and love of learning in teens. He is also a mechanical design consultant focused on medical, semiconductor, and consumer products, having previously designed semiconductor capital equipment. He holds a MS in Mechanical Engineering from Stanford University and a BS in Mechanical Engineering from the University of the Philippines. He has been a Palo Alto resident since 1994 and is known as Mr. Fixit among neighbors and friends. He has 2 teenage children, and is an avid sailor. Bob is the Founder & CEO of Terradex as well as President of the nonprofit Neighbors Abroad of Palo Alto. Bob founded Terradex in 2002 to modernize land stewardship through web technologies. At Neighbors Abroad of Palo Alto, Bob oversees relationships with Palo Alto’s eight sister cities around the world. Bob was introduced to BEAM through Neighbors Abroad and has worked to bring BEAM to each of the sister cities. Bob is a resident of Palo Alto, CA, is a professional civil engineer, and attended Stanford University. Rob is a senior-level finance executive with over 25 years of experience, having served as Chief Financial Officer for Yelp, Move, Inc, Shopping.com, DigitalThink, and VP of Finance at eBay. Rob currently serves on the Board of Directors and Audit Committee Chairman of Shazam Entertainment Ltd and Sun Basket, as well as the Finance Committee of the nonprofit BBYO. Rob holds a B.B.A. from the University of Texas at Austin and is an inactive certified public accountant. Victoria is a writer and editor who is passionate about using communication to build community engagement and support. She is a senior writer for the Doris and Donald Fisher Fund in San Francisco and the Founder & Editor of Palo Alto Pulse. Victoria has a BA in English from Tufts University and Masters in Education and Secondary Teaching Credential in English from UCLA. Victoria is on the Board of the Palo Alto Community Fund and the advisory board for Palo Alto Partners in Education, and she is a leader for Palo Alto’s Cool Block Challenge. Victoria lives in Crescent Park with her two teen-aged daughters, her husband, Jim Migdal and her dog Abby. When she’s not writing or editing, Victoria can be found riding her bike, reading, hiking, or playing tennis. Oscar is the Founder & Chief Empowerment Officer of Aspira, a community relations and workforce development firm, and also has over 10 years of technology and nonprofit management experience. Oscar has served in business development roles at five startups, as the Mountain View Chamber of Commerce President & CEO, TV host of Silicon Valley Business, Community Relations Manager at LinkedIn, and co-founded a nonprofit. He has received various prestigious awards recognizing his leadership and community work. As Chief Empowerment Officer, his goal is to empower and engage others so they perform at their peak, which results in the organization performing at its peak. Hayley is a student at Northwestern University, working toward her double major in Learning Sciences and Political Science and Spanish minor. She plans to pursue a career in education policy or consulting with school districts. Hayley served as a BEAM student CEO her junior and senior year at Gunn High School. She credits BEAM with inspiring her interests in nonprofit consulting and education systems, and hopes to stay involved with the organization as long as possible. To Hayley, BEAM represents the future of high school education and she is excited to help spread the program to thousands of students worldwide. Jordana is a student at Brown University, concentrating in Behavioral Decision Sciences (a brand new concentration that is a combination of Computer Science, Psychology and Economics) and Urban Studies. Outside of the classroom, she is a leader of the first year peer advising program at Brown and is training for a half marathon! She was one of the founders of BEAM when it began as a club at Gunn High School. Tim is a BEAM alumnus and former Co-CEO of Gunn BEAM. He is currently a student at the University of California, Berkeley, studying Computer Science. 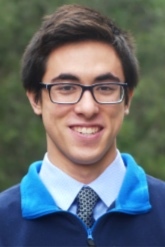 On campus, he is involved with Berkeley Consulting, the Undergraduate Finance Association and the Daily Californian. In his free time, Tim enjoys playing basketball and reading. 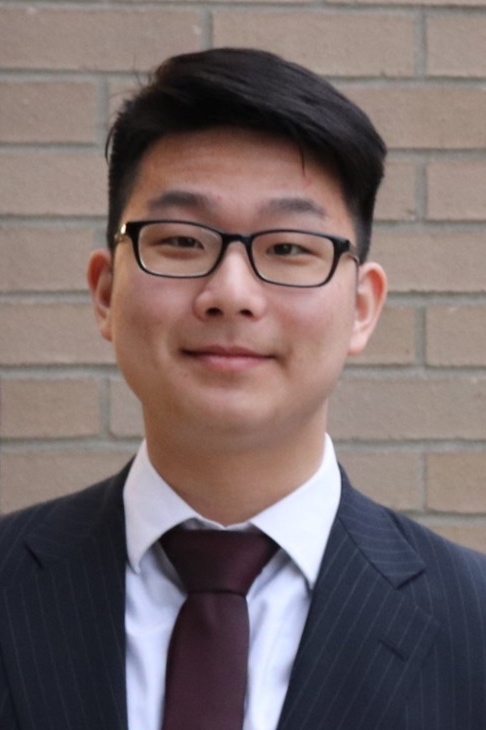 Ron is a student at Princeton University studying Computer Science and Economics. He is a Venture Partner at Contrary Capital, a university-focused VC fund; founder of Israel TigerTrek, Princeton’s first international entrepreneurship trek; and a member of Princeton’s Academics Committee and US-China Coalition. 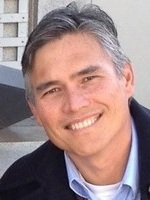 In high school, Ron founded Mountain View BEAM and served as its CEO. Steffen is a teacher in Heidelberg, Germany, and head of the science department at the English Institute. Together with his students, Steffen wants to discover our world by doing interdisciplinary projects like BEAM based on his motto 'Teaching means learning'. As a science teacher, he focuses on STEAM fields including media competence for children. He implemented media scouts, together with the EU funded organization Klicksafe. By peer to peer education, the media scouts help younger students to stay safe online. Steffen does volunteering in many IT-related and social projects. In 2015, he built free wifi hotspots for the refugees arriving in his region with the Freifunk organization. Steffen is a proud member of the Chaos Computer Club, Europeans biggest Hackers club, and plays a part in its educational project 'Chaos macht Schule', where hackers visit schools and talk to students, parents, and teachers about technology. Also, he gives free cryptoparties for the citizens of Heidelberg and other towns nearby. He organizes youth hackathons together with the German American Institute in Heidelberg and Jugend hackt, a non-profit project of the Open Knowledge Foundation Europe. 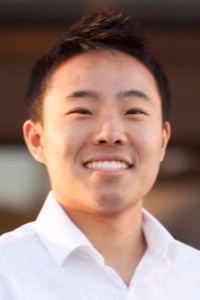 Minki is an Economics major at Cornell University and served as CEO during his time at BEAM. On campus, he is involved in Student Agencies as a Treasury Analyst and TIPTOE& as an internal consultant. In his free time, Minki enjoys kickboxing and reading about how other countries have developed over time. James serves as Chief Technology Officer at BEAM. James is passionate about modernizing the education system through innovative technologies and improving the world for society as a whole. His other interests include cinematography and all kinds of engineering.